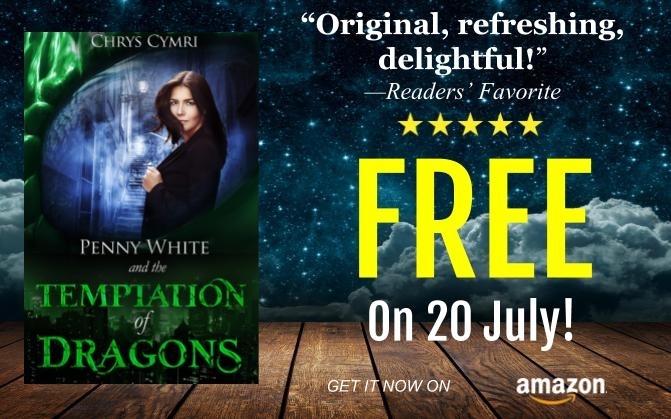 'The Temptation of Dragons' - Free Today! 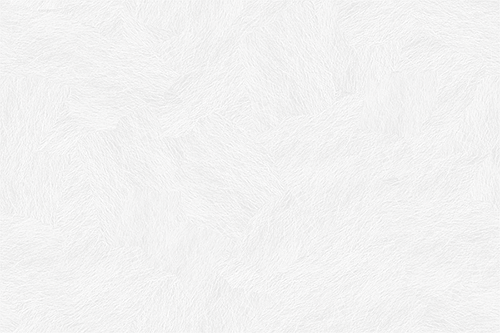 Have you met Penny White yet? If not, here's your chance. Or have you been trying to introduce a friend to the magical world of Lloegyr? Forward this email! Penny White's first adventure, full of British humour, a sarcastic gryphon, and a darkly beautiful dragon, is free on Kindle today. Click on the image to be taken to Amazon to download your copy! 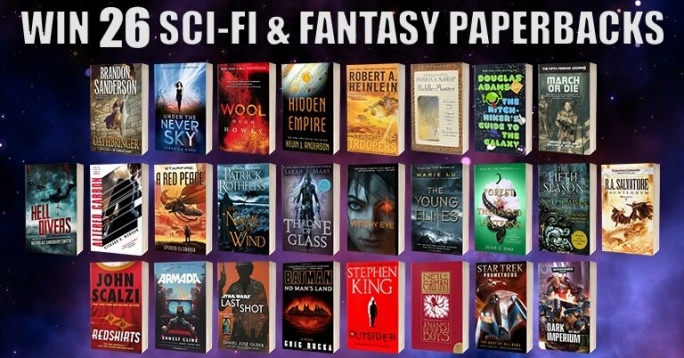 Last chance to enter this giveaway! Just click on the button below to be taken to the entry form. Good luck! Do you have a companion animal who brings joy to your life? Here's a photo of the inspiration for the small gryphon, Jago. Tilly is a Green cheeked conure, a type of parrot. 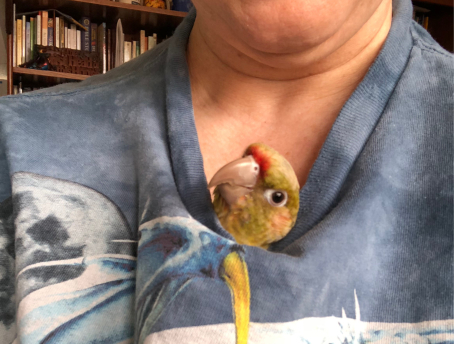 Her favourite hiding place is in my shirt - but she's not allowed to nibble anything she finds down there!